Sue Sullivan’s passion for selling real estate spans over two decades. As a Partner with the Mahaffy Real Estate Group, her practice has evolved into representing a diverse client base interested in Portland’s close in neighborhoods. Her philosophy focuses on connecting individuals committed to collaboration toward their goals of buying and selling real estate. Sue is also skilled in marketing the benefits of new and remodeled ‘green homes’ that feature resource efficiency. 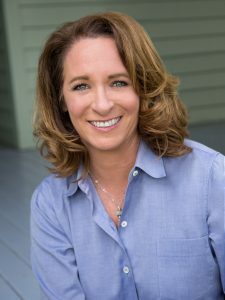 She is currently on the Board of Directors for the Women’s Foundation of Oregon and is also part of Go To Girls, a special society of the charitable organization Girls Inc. In addition to working with both the Lincoln High School and West Sylvan Foundations, she was formerly president of the Portland Chapter of the National Charity League. NCL is an organization that fosters mother-daughter relationships in a philanthropic organization committed to community service, leadership development and cultural experiences. A lifelong learner, Sue is currently in the process of learning Italian and to play the drums. She enjoys cooking with her husband and entertaining friends when not involved in charitable pursuits outside her career in real estate. Her two children, Craig and Megan, both live and work in the Portland area.